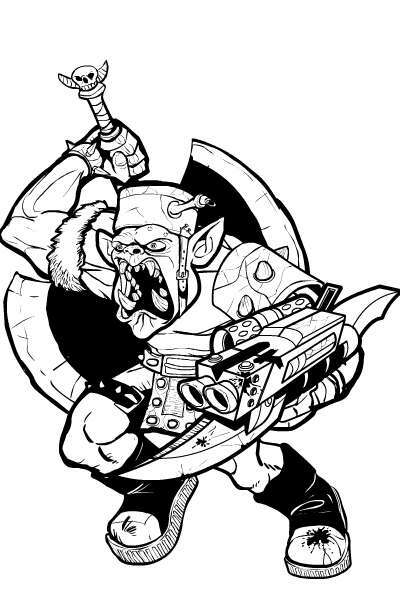 That's an Ork, for those of you (like me) who don't know jack about Warhammer. Hopefully Skulan's pleased with it, and you'll like it enough to immediately leap into action on Caption Contest 48, going on right now! Somebody has a case of the Mondays.